Armor steel Buildings and our Authorized Builders are the symbol of strength and integrity in the steel building industry. 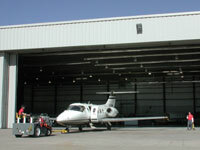 Armor Steel Buildings are truly manufactured to the highest standards of quality that a customer can expect. Many steel building companies, and almost every phone broker, “claims” to have the “BEST” product in the industry. Have you ever heard of any of them claim to have the worst product? "Claiming" to be the Best is the Easy Part! Any company can "claim" to be the best — that is the easy part. To be willing to spend your time and capital to educate your customer so that they are confident of it is the Armor’s commitment to our Builder and Customer. To actually make this commitment and do it every day is the hard part. Armor believes that every customer deserves the highest quality product they can afford, with the highest quality of Customer Service at the most competitive price. Armor Steel Buildings believes that these qualities should come included to our Builders and Customers with your building materials — not only if one has educated themselves enough to know to ask for them! In today’s highly competitive marketplace, for a steel building company to actually provide the highest quality of products and Customer Service at the most competitive price, requires a strong Commitment, a great investment of Capital, and great Customer service. This is what Armor refers to as the three C’s of successful business. Commitment — Every business owner knows that from the first day of business, one must make a commitment to do business at a certain level of quality and integrity. The long term success of the company will be based on the owner’s level of commitment. The commitment will be reflected by the capital investment of time and money, business associates (such as armor’s Builders), the quality of employee’s and how they are paid, the investment into equipment, and ultimately how committed associates/Builders, employees and equipment are to servicing the customers! Capital — To produce the highest quality steel building product requires a phenomenal amount of capital investment. An investment into the best computer aided drafting and fabrication equipment, an investment in obtaining the most knowledgeable and experienced employees and engineers available. The investment Armor has made into its facilities, work environment and culture, fabricating equipment and employees is directly reflected in the highest quality steel building materials and dedicated Customer Service Armor’s customers receive. What level of commitment would one feel from a salesman or contractor who had promised quick delivery, the highest quality of product and service, when they show up to dig a foundation with 2 guys and $10 shovels instead of heavy equipment? What about a phone salesman who’s only commitment is a cell phone and a lap top? Customer Service — Very few of Armor’s competitors will even mention Customer Service as a reason to purchase their product. If they do, it is usually empty words heard from a salesperson who thought their customer might like to hear it. Quality Customer Service requires a commitment to ongoing training, experienced and knowledgeable Builders and employees. Dedication to Customer Service must be built into a company with just as much detail as the quality that is designed into the product. A great product will not perform great, if the experience, knowledge and Customer Service you need to install or maintain it is not available. It is for these reasons that we at ARMOR Steel Buildings, feel we can say “we are the best,” no doubt about it! We ensure that ARMOR Steel Buildings don’t just meet, but exceed industry standards as well as customer’s expectations, down to the smallest detail. In order to maintain Armor’s solid reputation as the highest quality steel building supplier with the highest level of integrity, it is vital that our Builders and their customers are just as Confident in our Commitment, Capital and Customer Service. Armor Steel Buildings are broken down into the following categories of construction: The primary framing system, secondary framing systems, sheeting trim and hardware; to include the nations best designers, engineers, customer service and delivery fleet. Please take a minute to review the features and benefits of Armor Steel Building’s as compared to the standards in the industry. It is then you will see, and truly believe that it is our confidence in our products, services and prices not our arrogance that defines Armor Steel Buildings Inc, it is then we truly believe that you will be as confident as we are! ARMOR's GUARANTEE: We promise no one will work harder or be more honest, to assist you and your Local Builder in getting your building into your budget. "We believe you will find..."
It is for these reasons that we at ARMOR Steel Buildings, feel we can say "we are the best," no doubt about it! We ensure that ARMOR Steel Buildings don't just meet, but exceed industry standards as well as your expectations, down to the smallest detail. In order to maintain our solid reputation as the highest quality steel building supplier with the highest level of integrity, it is vital that our Builders and their customers are just as Confident in our Commitment, Capital and Customer Service. "The Symbol of Strength, Integrity and Quality." We work to earn your confidence, before, during and long after the sale. 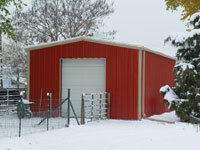 Copyright © 2008 - ARMOR Steel Buildings, Inc. — Site designed and maintained by Excalibur Advertising Agency, Inc.